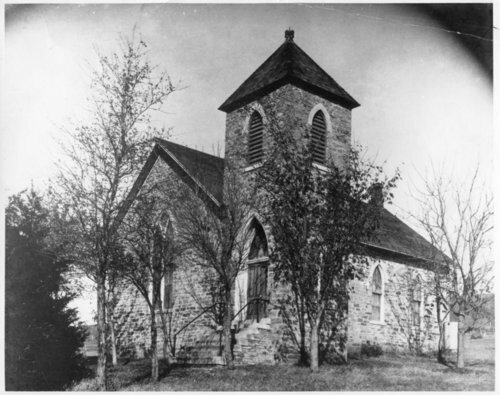 Photograph of the Congregational Church located a mile west of Maple Hill, Kansas. The limestone building (now known as the Old Stone Church) was erected in 1882. The church was destroyed by a tornado on April 26, 1991. The Old Stone Church was rebuilt and is still used for occasional weddings, funerals, and a special service on the Sunday preceding Memorial Day.